Download Modern Wedding Invitation Template for Free. These unique concepts are available for free to download thanks to Graphicgoogle. 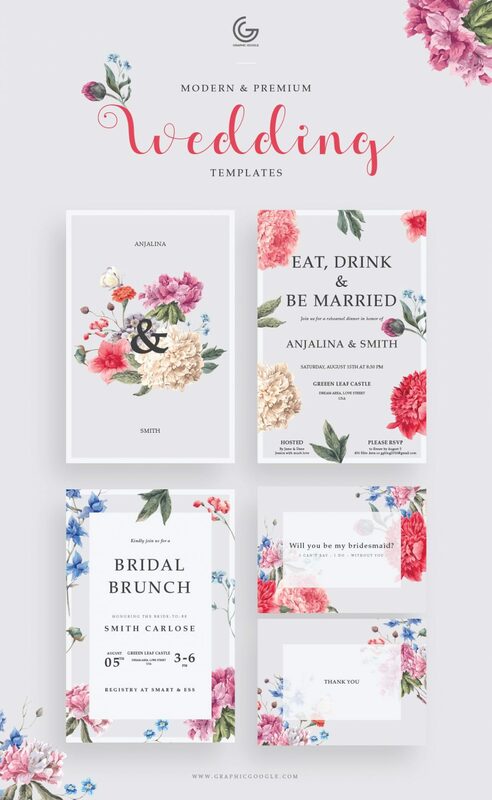 These designs are unique and creative to present your Wedding. To edit this template you need to install Illustrator CS6 or higher.